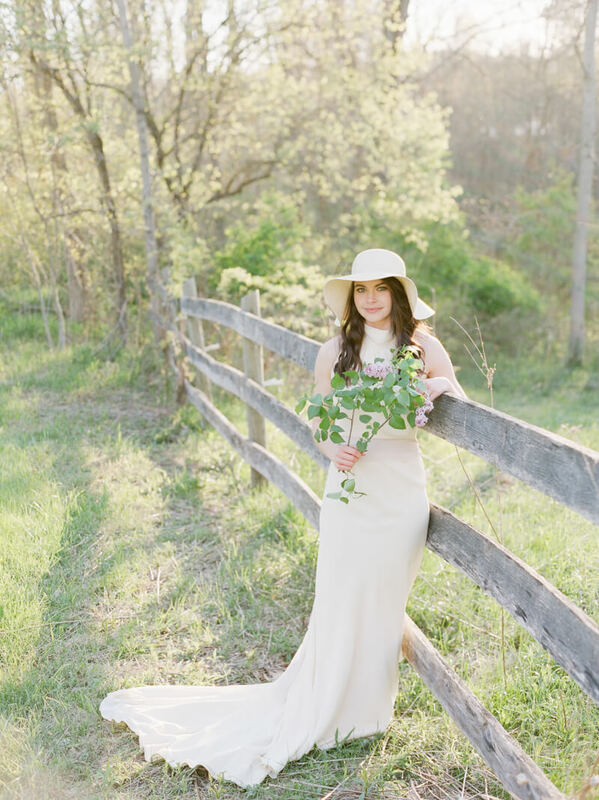 This styled shoot explores a concept many often wonder – what does a wedding for a wedding professional look like? 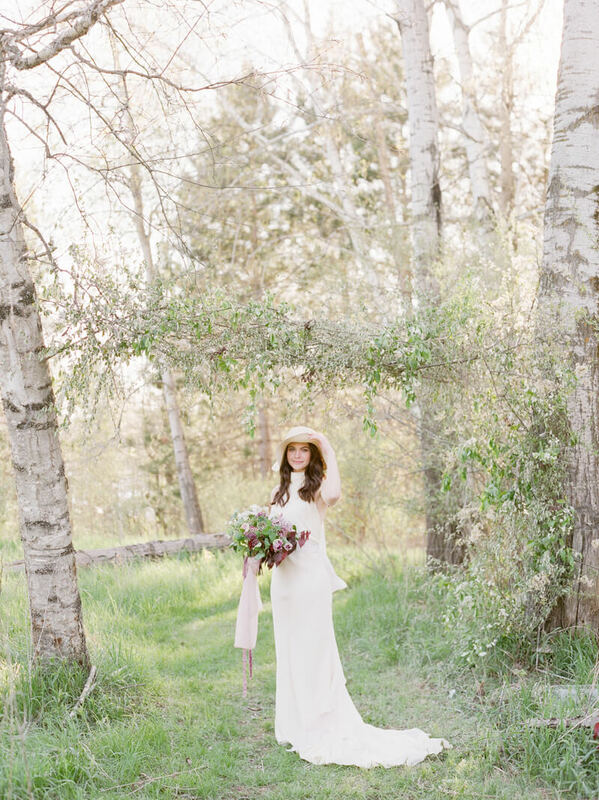 Specifically, what if a florist weds? 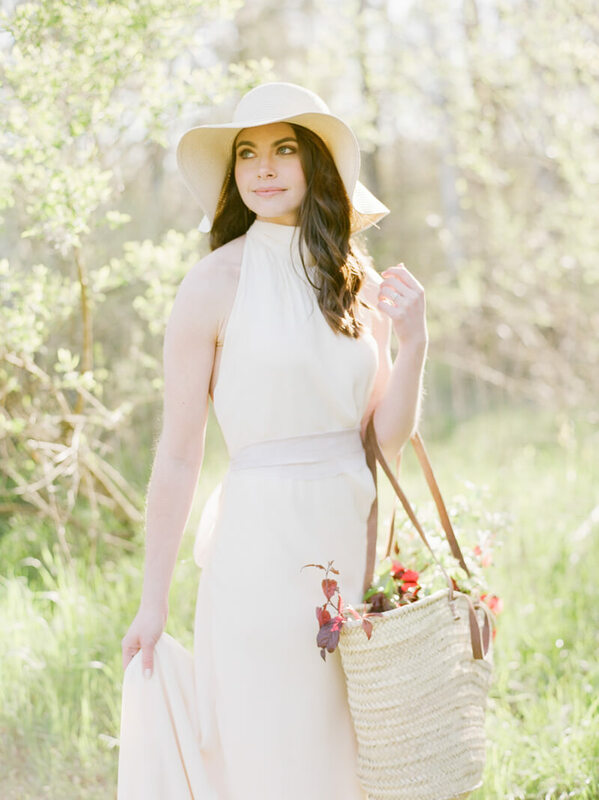 After helping with numerous weddings, it’s now her time to shine. And thanks to a pared-down space in the countryside, the result is breathtaking in the simplest way possible – focusing only on the things that matter. Floral inspiration abounds, including in the romantic invitation suite. Elegant script, classic colors and even the outline of flowers and trees complete this imaginative design. 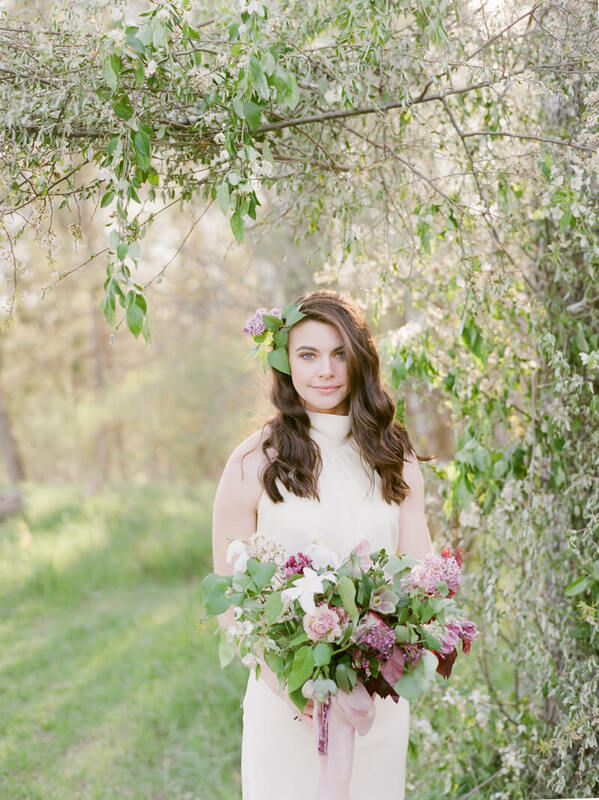 Local lilacs are included in the bride’s bouquet to exhibit the soft purple and pink vision for the day. The bride dons a high-neck gown with an open back. 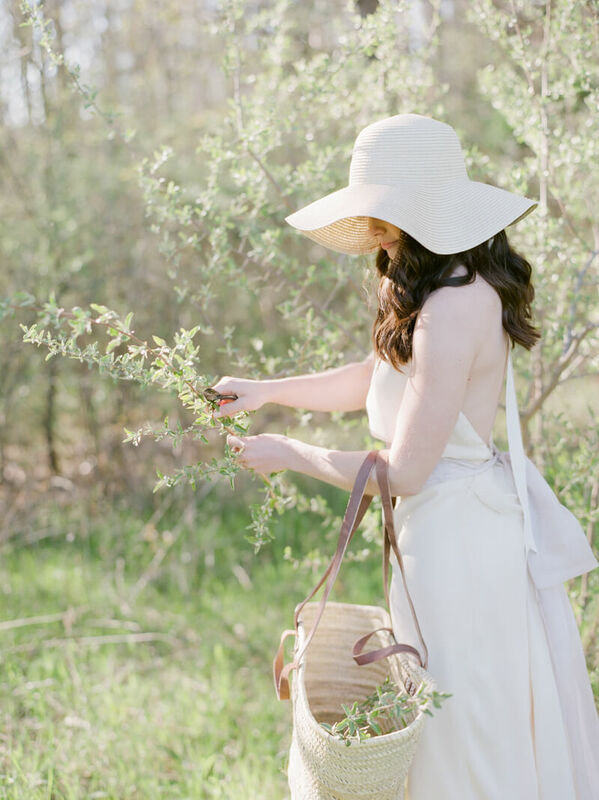 She wears a wide-brimmed hat to keep the sun off her face as she gathers last-minute blooms. 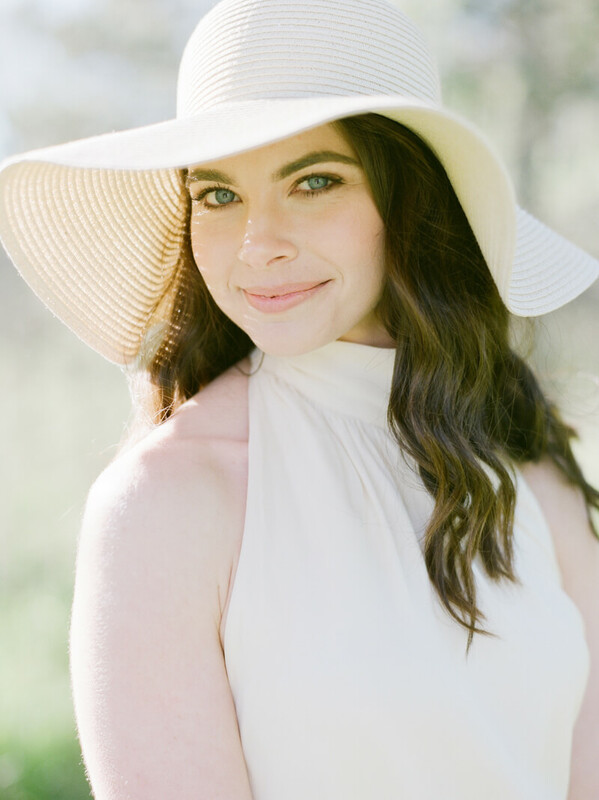 Her ceremony look includes flowers in her hair to match her bridal bouquet. 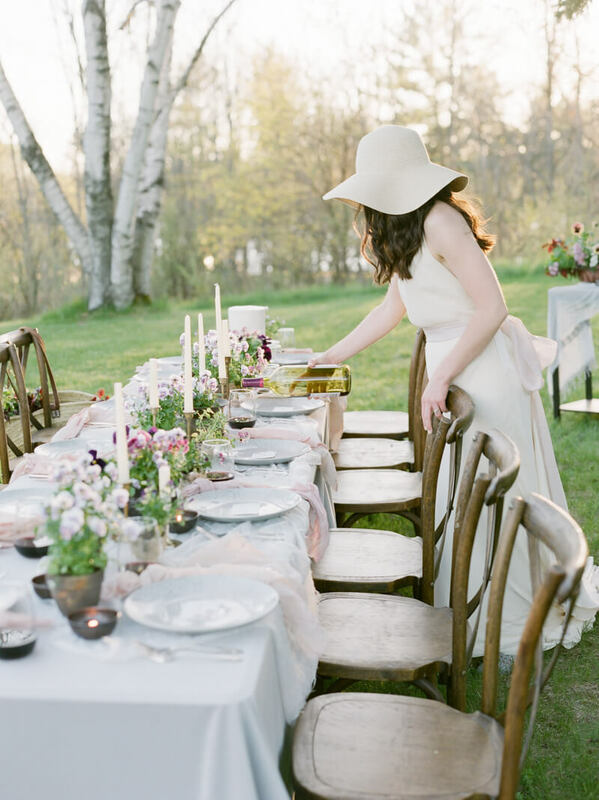 The tablescape features potted plants along the center with a heap of fabric for added softness. Tall taper candles, simple place cards and charming china complete the beautiful display. She plays hostess for her guests, serving each one wine and cake and checking over every last detail. 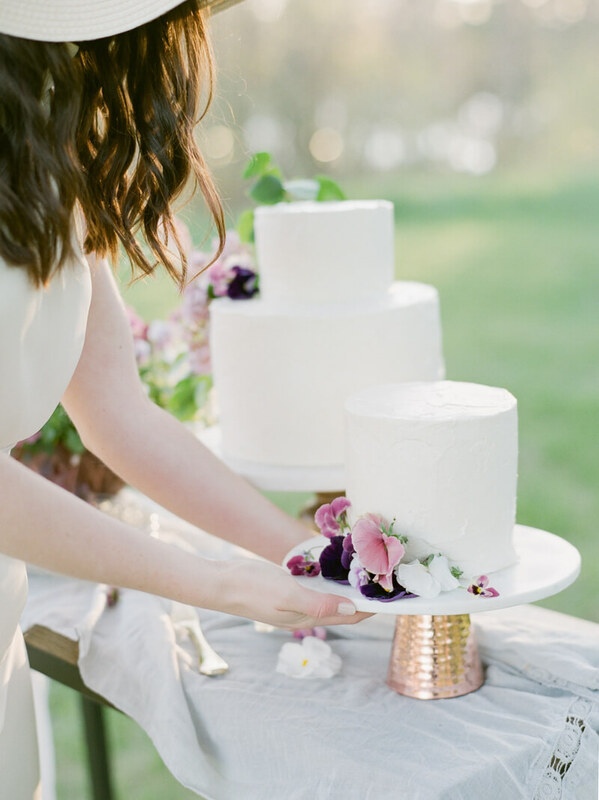 The cake display embodies the no-fuss vibe with two simple white buttercream creations adorned only with floral touches. She admires everything about the day she’s planned, and also dreamed of, for as long as she can remember. 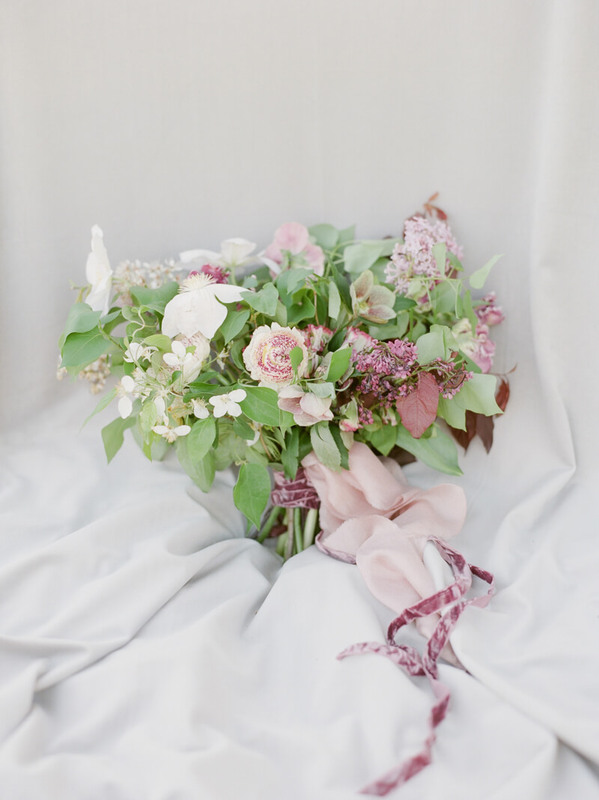 While many would think someone as intimately close with weddings as a florist would have a grand affair, this styled inspiration proves a simple, fresh approach is stunning and appropriate. She’s had all the experience planning the extravagant and luxurious. 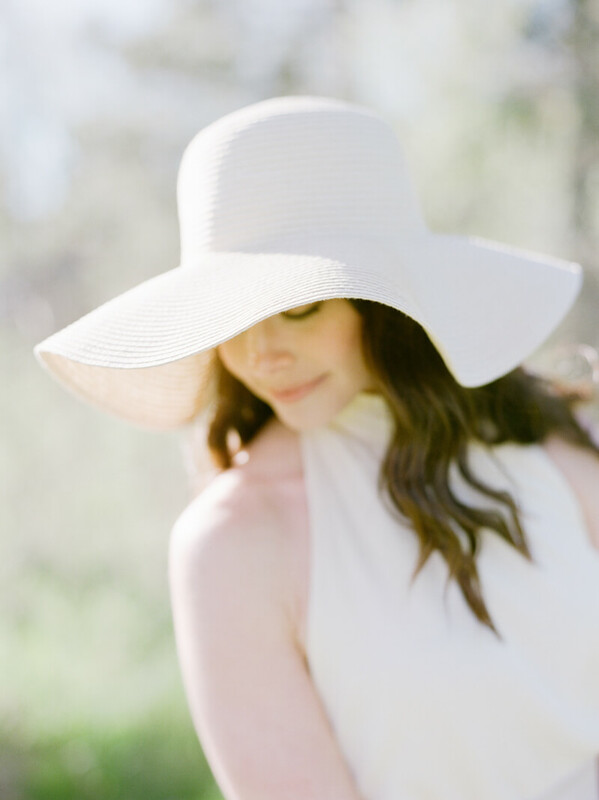 It’s now time to embrace what a wedding truly means to her.